I'm absolutely rubbish at finishing beauty products. I find i get bored with them before they're finished so i'm left with hundreds of half full bottles all over my room. But i'm finally managing to get through them and i thought i would share a few of my favourites! This is one of the products that i love and always buy! 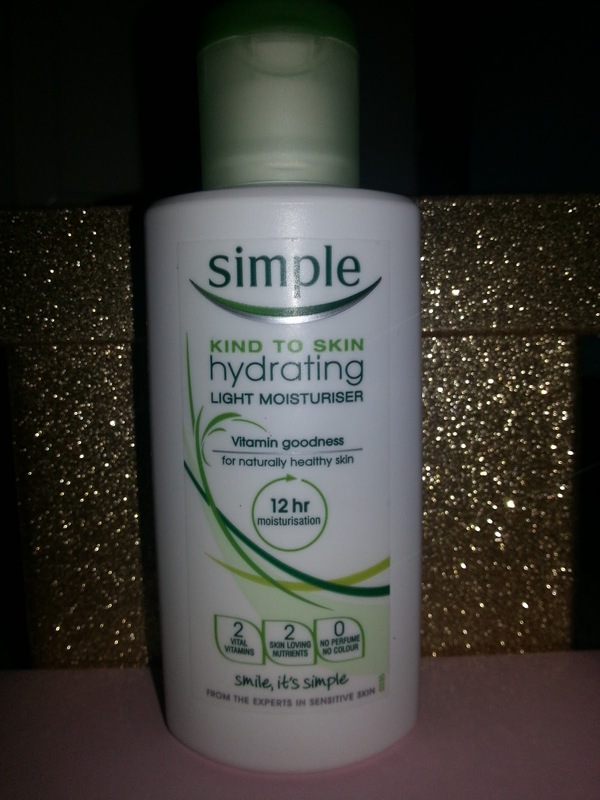 Ever since i started using moisturiser daily, how ever long ago that was, i've used this and I LOVE IT! To be honest, i haven't found a person that doesn't like simple products! They're quite cheap and leave your skin feeling lovely, so i couldn't recommend this more! A lady at my local Lush shop recommended this to me and i'm so glad she did! I love love love it. 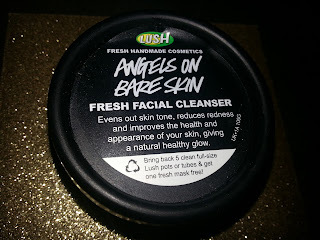 Basically it's like a solid cleanser that you have to add water to in your hands, and then it turns to a sort of paste that you can apply to your face. It's really good at reducing any redness and it makes your skin feel really soft, and looking nicer. The only downside to this product is the seeds that are inside it. I used it in the shower because i find it easier to make it into a paste there, so all the little seed bits that are in the cleanser (there's hundreds of them) go to the bottom of the shower and you have to clear it out. If you don't mind a bit of cleaning every time you use this cleanser then i'm sure you will love this product! 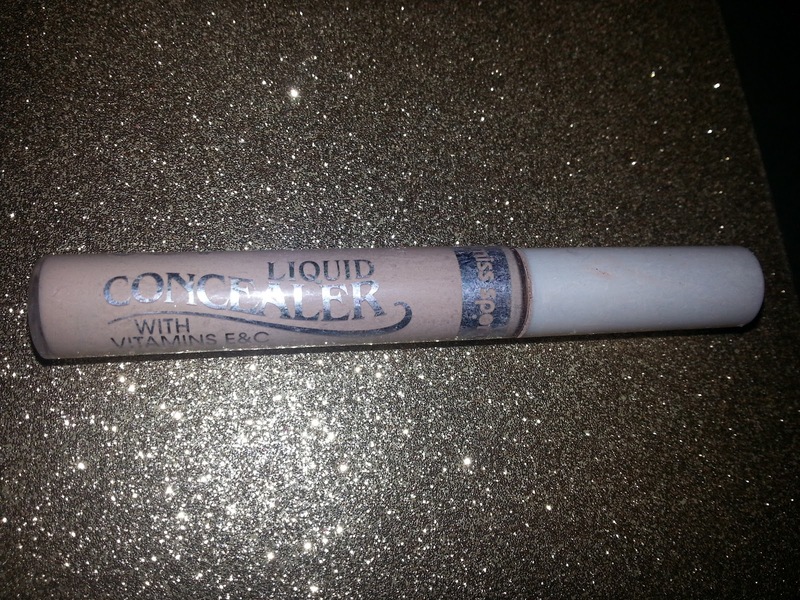 I brought this concealer in October and to be honest i really haven't been impressed with it. I normally love Miss Sporty products but i found that it didn't cover up blemishes very well, and it only lasted a couple of hours at a time. For £2.99 i wasn't expecting much, but this was even worse than what i expected. 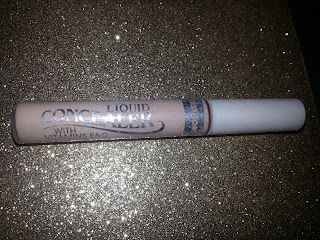 I've now moved on to the Natural Collection liquid concealer from Boots, which is cheaper and works better. I would only recommend this to people as a cheap emergency option for a handbag or night out, or people that have very clear skin and don't use much concealer. Lush have started offering these when you pay for products, and i've started buying one every time i go to Lush. For only £1, for a 10g pot, they're incredible. I use it mainly as body lotion, on my neck and arms mostly, every morning and night, and i find that even these pots (which are tiny) last ages. And, the size is perfect for popping in your handbag. 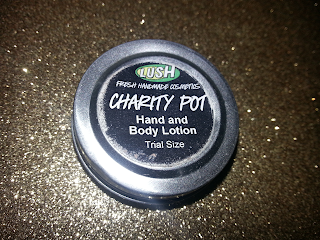 Lush have also started doing bigger sizes (£6.95 for 95g and £12.75 for 240g) if you prefer that sort of size. If you try any of these products, please comment and let me know what you thought! I'd love to know another person's opinion! I really like your blog. 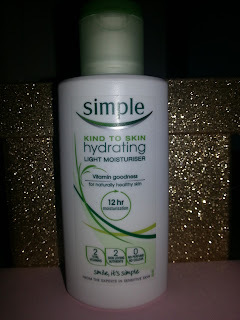 i just run out of my moisturizer so i might try out simple.